Check Out Our Designer Frames. Most Insurances Accepted. 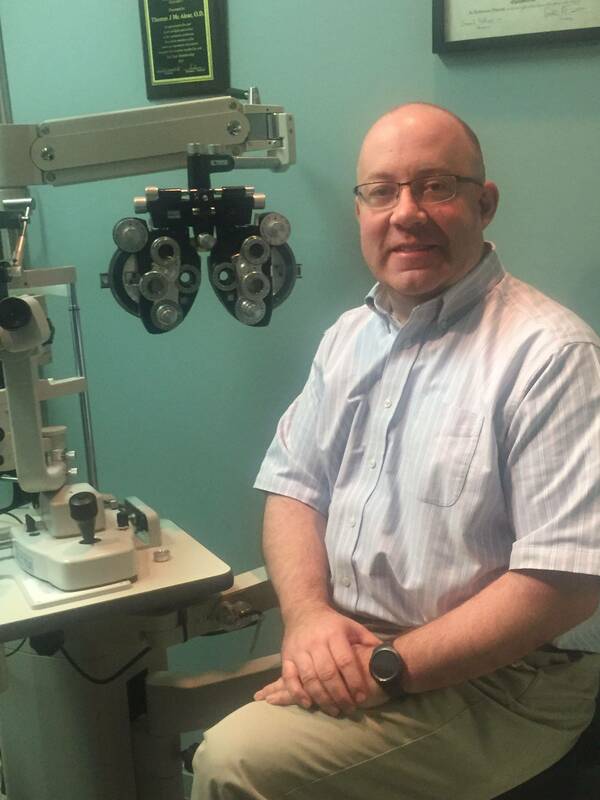 Your #1 Weymouth Eye Doctor also serves Abington and Rockland! The trusted optometrists at McAlear Eye Care, serving Weymouth, Abington and Rockland, believe in looking at the big picture when it comes to your eye health. We take the time to get to know you, your eye care history and your vision needs. Dr. McAlear knows that getting the right prescription involves balancing several factors, including clear eyesight, visual efficiency and your ability to process visual information seamlessly. Whether you need a routine eye examination, pediatric eye care, a contact lens fitting or evaluation of eye disease (such as glaucoma or macular degeneration) or are considering eye surgery (such as LASIK or cataract surgery), Dr. McAlear will provide you with the best care, advice, options and follow up. Doctor McAlear has been my doctor for the past 4 years. Everything there is high tech. I usually book my appointment online on their website which you can see the available time slot. Pretty convenient! Staffs/Front desk are very friendly. Communication/response is fast and clear. One thing I like about Dr. McAlear is that he usually explain to me very detail (Since I don't really know half of the terminologies when it come to medical term). He always walk me through HOW/WHAT/WHY. Dr. McAlear provides a personal and professional experience that i've never had at other providers. He's patient and can simply explain everything thats going on. He seems to really care about the profession and puts in extra effort to make his patients comfortable. I was greeted immediately upon entering the office and completed documentation for a new patient. The process was painless and efficient. Even though I was early, I didn't have to wait long. The doctor spent enough time with me to ensure that I understood the results. It was a very comprehensive exam. The experience was very good from paperwork to exam to purchase of glasses. I was happy that there was no pressure to buy glasses on site, but I found a pair that would work well for me and did make a purchase. I intend to make McAlear my eye care provider going forward. Dr. McAlear is professional, friendly, approachable, and punctual. His office staff is excellent, knowledgeable, and friendly. The office is modern, clean, and accommodating. The equipment is hi-tech and modern. It spotted something in my eye no one else ever did. I highly reccomend his office for all your eye care needs. Our optometrist can perform comprehensive testing for children and we have a huge selection of kids frames! We offer a wide range of contact lenses to fit your needs including contact lens exams and fittings. We help the "hard to fit" patients. This help guide will give you more information about taking the best care of you lenses! Eyes are important indicators of overall health, and comprehensive eye care goes beyond a prescription for glasses or contact lenses. 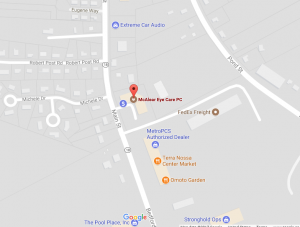 At McAlear Eye Care, we take the time to get to know you, your eye care history, and your vision needs. Our optometrist provide the expert care, advice, options, and follow up you need whether you are a new patient or an existing one.